◦Having a working smoke detector in your home cuts the risk of death by fire by 50 percent. Install one on every level, outside sleeping areas, and in each bedroom. Test detectors monthly, replacing batteries semi-annually. Install a new one every 10 years. ◦Portable fire extinguishers save lives and preserve property, however you must choose the right fire extinguisher for the job: A multipurpose ABC model. It’s also imperative to understand safe operation, including the 1-2-3’s of using an extinguisher. Remember: Fire extinguishers won’t work if they’re expired or inaccessible! Locate conveniently, eyeball the pressure gauge regularly, and note replacement dates on your calendar. ◦Always keep exits in your home clear of furniture, toys, and clutter. Discuss with children – especially small ones – that you cannot hide from fire. Make sure they understand how to choose the best option for escape: There should be two exits, such as a door and a window, in each room. Crawling to circumvent toxic smoke and “Stop-drop-and-roll” should be well understood. Have a specified outside area to meet in the event of a fire, and have a “once you’re out, you’re out” system in place. 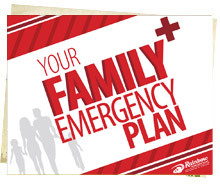 Instruct all family members how to use the 9-1-1 system. Remember: Fire drills are not just for the local elementary school! Practice makes perfect. ◦Kids should know the importance of responding to the smoke alarm, and have a thorough understanding of safe escape options . Don’t forget to discuss with children who can – and cannot – operate fire equipment (and fire prone appliances) in your home. ▪Never leave pots unattended or the oven on when you’re not in the home. ▪Keep cooking areas free of flammable items. ▪Keep the stove hood clean and properly vented outside. ▪Never run electrical cords under rugs. ▪Quickly address frayed, cracked cords. ▪Plug large and small appliances directly into wall outlets. ▪Use circuit-protected, multi-prong adapters for additional outlets. ▪If you use combustion heating or appliances, install a carbon monoxide detector. ▪Stay on top of dryer lint and the venting system. ▪Never use extension cords with space heaters. ▪Purchase only National Testing Laboratory models with a tip-over shut-off function. ▪Have chimneys and furnaces professionally cleaned and inspected annually. ▪Keep flammable items – including furniture – at least 3 feet from heat sources. ▪Dispose of fireplace and barbecue ashes in appropriate, covered, metal containers outdoors and at least 3 feet from your home. ▪Never leave candles unattended around children or pets. ▪Only smoke outside utilizing a proper ashtray. Remember, home fire safety is up to you. Protect yourself, your family, and your home with these and other tips from Rainbow International® today.